This is a fund raiser that our friend Martha Ross is coordinating for the Wilbraham Nature and Cultural Center. 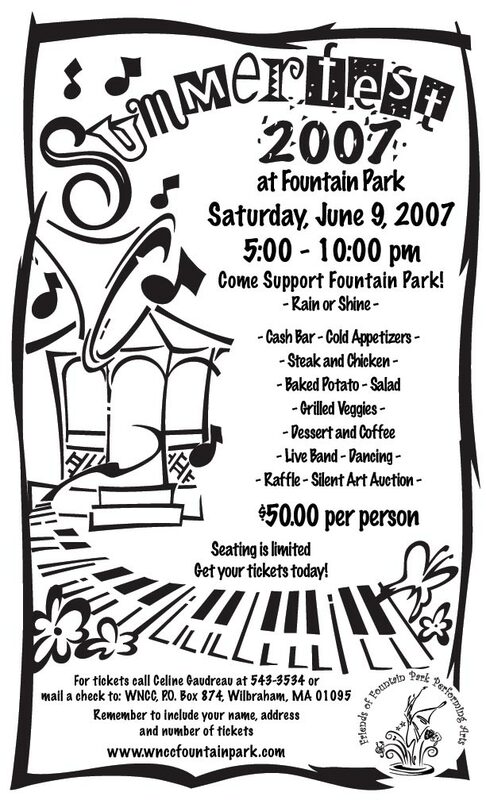 Please forward the poster on to friends/neighbors, or anyone that you think might be interested in supporting Fountain Park, supporting the Arts, getting together with friends, and simply having a good time. She has tables of 10 reserved.